Living serenity. Timeless tranquility. All these thoughts went into the maternal and peaceful white dragon, whose promise of new life is well guarded. Multi-media-2005. 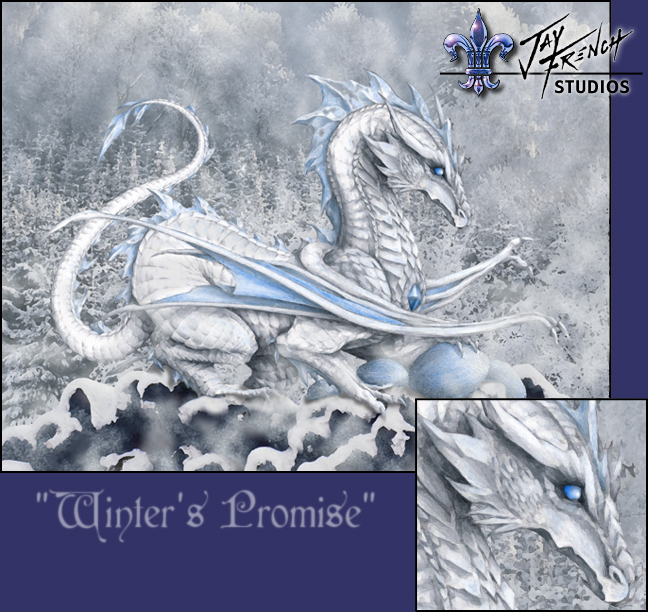 Click the image to see merchandise with Winter's Promise and all the Dragons of Jay French!